When I was preparing my post for Bourjois' new Laser Toppings I wanted to try these out over black and white nail varnishes to provide a strong contrast between the base colour and the Laser Toppings. I didn't actually have a white nail varnish so I had to use a nail tip whitener, but this had a really thin brush, which is perfect for just applying the white to the nail tip, but was a bit of a pain for trying to paint an entire nail. So I decided that I wanted a white nail varnish to use with nail art but I wanted this to be as cheap as possible as I have no intention of using this on it's own. 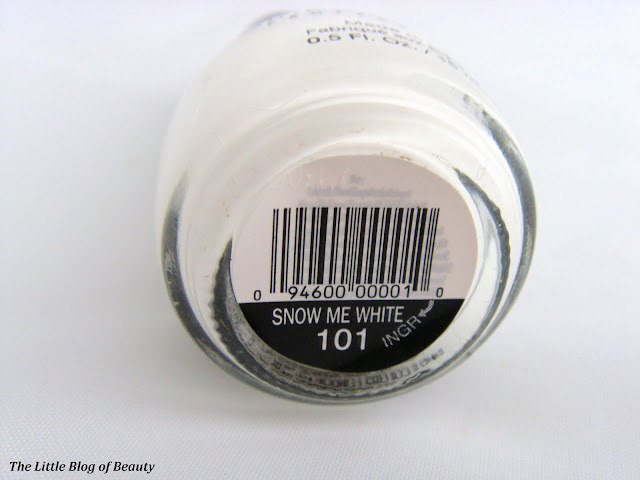 Just a couple of days later I spotted a post on Nail Lacquer Blog about Sinful Colors in Snow Me White recommending this as the best white nail varnish out there. So as they're just £1.99 each I decided this would be the one to go for. I've not tried a Sinful Colors nail varnish yet (which is slightly crazy as they're only £1.99 each!) and as they're so cheap I didn't have high expectations, but I'm really impressed! I was fully prepared for this to be a bit of a nightmare to apply and to either require a ridiculous amount of coats to become fully opaque or to look like I'd just painted my nails with Tipp-Ex. However, I was surprised to find that this is actually pretty easy to use. I found that two coats is all you need, which I was really pleased with. It's not in any way streaky and doesn't look like Tipp-Ex nails at all. 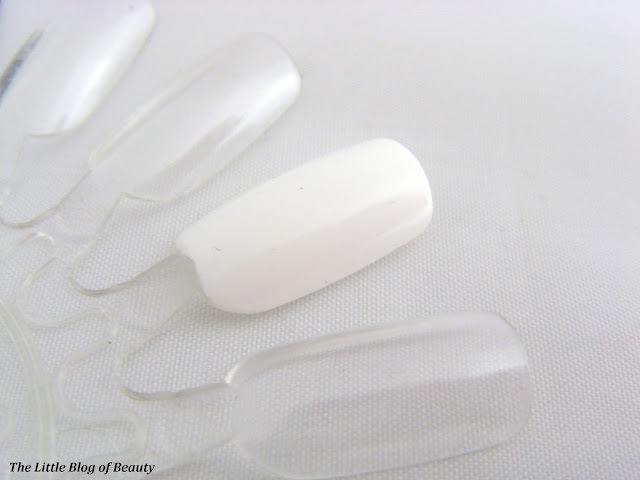 Obviously this is a white varnish so you do need to try and apply this carefully as any messy bits will really stand out and it is a little runny so you have to keep an eye on it or you could end up flooding your nail. I am really impressed by this and think it's the perfect white nail varnish, whether you just want this for nail art or whether you want to wear it on its own. I'd definitely consider trying more Sinful Colors shades. Have you tried any Sinful Colors yet?